Numbers in parentheses indicate hardness values, which are outside the definition area of the standard hardness test, but often used as approximate values. The Brinell values in parenthesis are only used when measured with a hard metal ball. 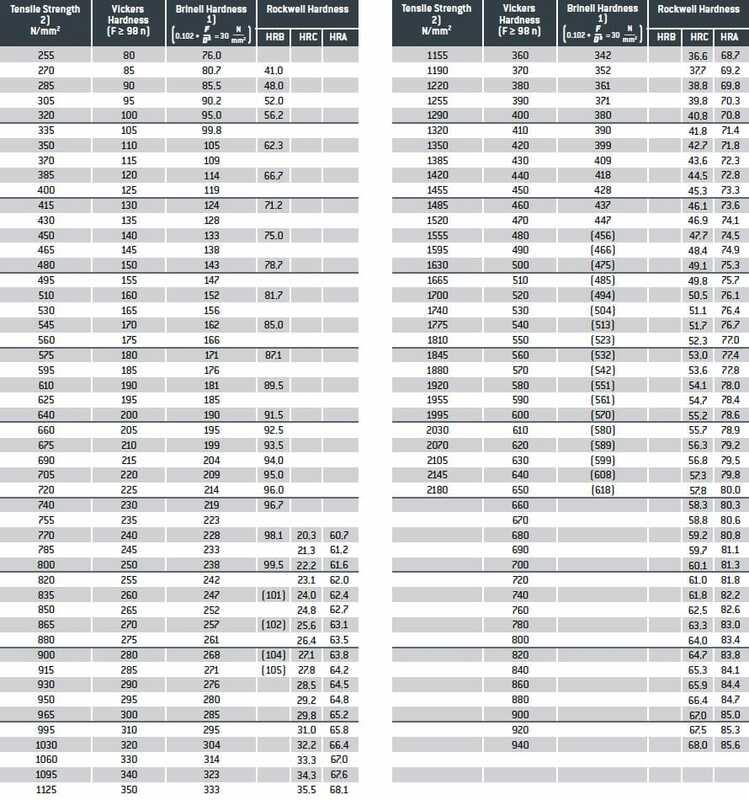 2) The tensile strength values shown in the table are only to be used as approximate values. To get the exact tensile strength values a tensile test must be performed.